This entry was posted in Miscellaneous on May 25, 2016 . We’ve had a long-standing and successful relationship with the University of Pitesti and the latest project we’ve collaborated on has been a series of Android development classes that we offered in partnership with the Mathematics and Computer Science Faculty. Now that the workshops have come to an end, here’s a summary of what happened. We selected 35 applicants, all of them with at least basic-level knowledge in object-oriented programming and Java, but only one had previous experience with Android development. The workshop consisted of a series of 4 sessions over a period of 6 weeks. Session 1: the students learned about basic Android concepts and the advantages of this platform. They installed Android Studio and created their first project with 2 activities linked through a button. 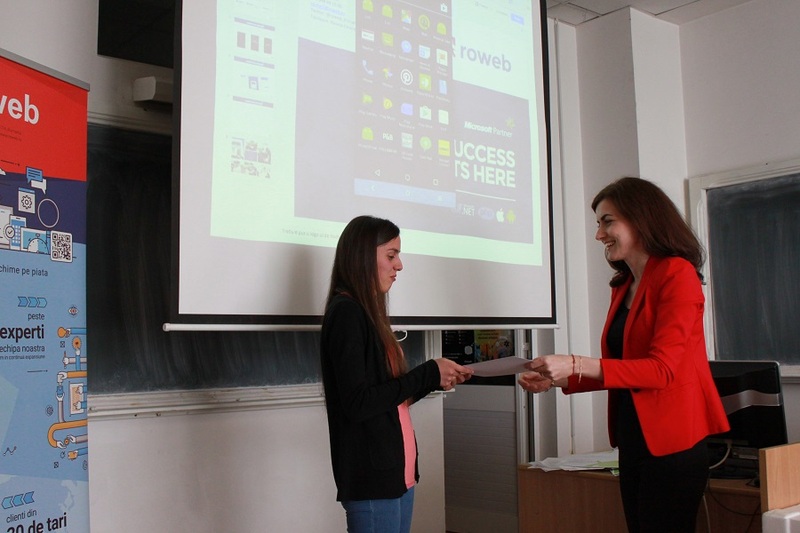 The students got to learn the concepts in the first 3 sessions by applying them right away, by building a small application that showed the weather in Pitesti in real time. For the final session, they built Android apps for a wide range of purposes, from culinary apps to help users organize recipes, to several location-based apps that used Google Maps and Google Places API, and from to-do list applications, to an app that enabled users to save their favorite movies into categories, with details for each. All attendees were very enthusiastic about this opportunity and delighted by the hands-on approach, even though working on their demo projects proved to be a challenge. According to their feedback at the end of the workshop, the students felt like this was a great opportunity to learn skills that can be easily applied in a real work life context and to build marketable products. 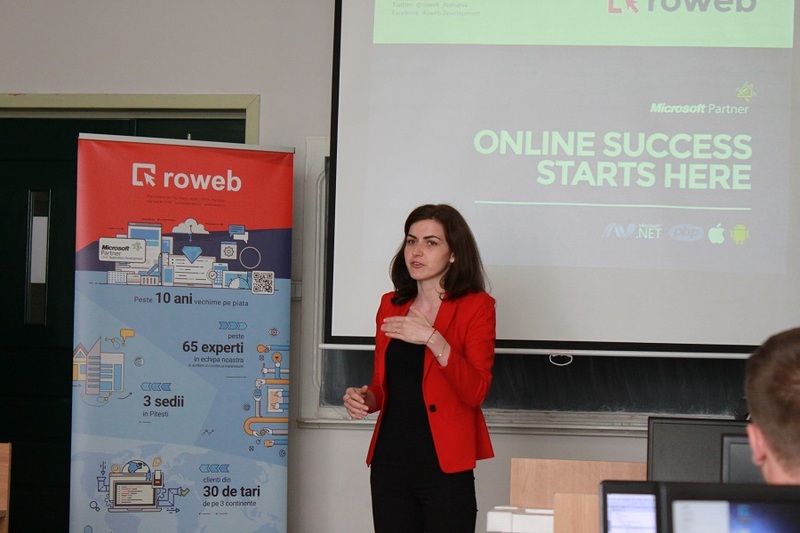 Roweb is very proud of having been able to support the community of young developers in Pitesti and provide an opportunity for talented students to become better prepared for their first job in Android development. We’re hoping to see many of these students again at our 2016 Summer Internship!